At ABC Solicitors we know that family and marital legal problems can be stressful and painful. This kind of problems are a lot more delicate than any other legal issues. 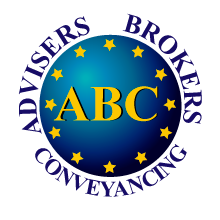 In ABC Solicitors we are aware of this particularities and we can offer you professional lawyers specialized in family issues, dealing with such problems in a humane and effective way. At these times of stress and difficulty it’s a lot easier to solve this with the legal support of a lawyer who knows the complexities and peculiarities of Spanish family laws. We offer advice to both married and non-married couples who have common assets or interests.